Mr D B Wijetunga, who was Prime Minister at the time of President Premadasa's assassination, was elected by Parliament to succeed the slain leader as President in 1993. He thus became the first Executive President to be elected by Parliament. Although President Wijetunga took up the mantle of leadership at a time of catastrophe, he brought about a peaceful transition of power and returned stability to the nation. During his short tenure as President, he oversaw the removal of several irritants that had earlier divided various sections of the people. During his first six months in office, President Wijetunga instituted measures to consolidate and carry forward the economic development programmes that had re-oriented the country towards a market economy since 1977. He also moved to modify certain programmes so as to make them more productive and cost effective. President Wijetunga gave a high priority to programmes for poverty alleviation, education, employment generation, and a new impetus to agricultural development. He also took measures to attract foreign investment and advance technology with the goal of making Sri Lanka a Newly Industrialised Nation by the turn of the Twenty First Century. Certain of the welfare measures curtailed earlier were reintroduced during this period by President Wijetunga. One striking factor of the Sri Lankan Presidential elections is that incumbent President or the ruling party had always been re-elected by the voter who always displayed a remarkable keenness to elect the sitting President or re-elect the party. President J R Jayewardene and President Chandrika Kumaratunga, who sought second terms, were re-elected in 1982 and 1999 respectively. The only occasion there was a change of the ruling party was in 1994 when the incumbent D B Wijetunga did not contest. 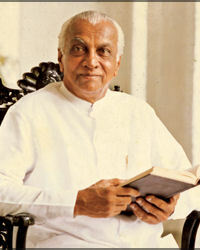 Dingiri Banda Wijetunga, Sri Lanka’s third Executive President, died in Kandy on 21 September 2008 at the age of 86 following a prolonged illness, marked a golden chapter in Sri Lankan politics. The Daily News of Colombo said "His passing away takes from our midst another politician of a by gone era when clean politics ruled the day. There was nothing flashy or demonstrative about D.B.Wijetunga, a hallmark of the present day politician but his calm disposition, simplicity and modest demeanour made him a popular leader. "Neither did he have any pretensions to oratorical skills or verbal flourishes but spoke the idiom of the masses that endeared him to the electorate. Not for him were the gung ho displays or the sweeping rhetoric. These things were alien and far removed from character of the simple peasant from Udunuwara. He never sought the plums of office. On the contrary greatness was thrust upon him. He was the quintessential politician of the masses and it was fitting that the United National Party which at one time took pride in its rural base had him as the party’s last President that marked the end its tenure. He was a UNPer of the old guard."